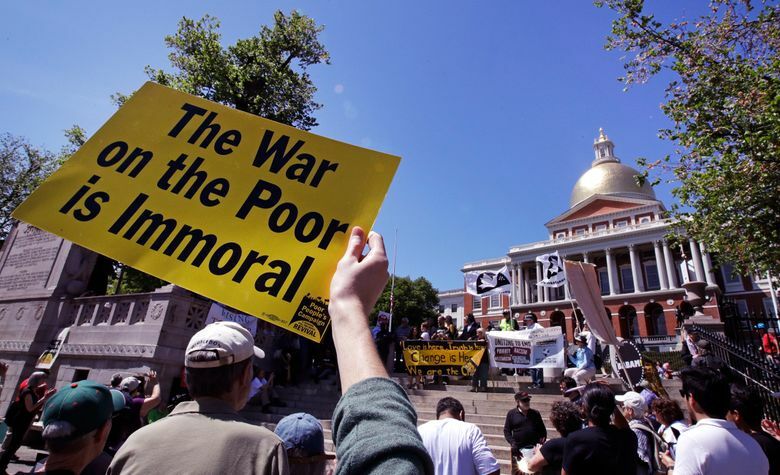 BOSTON (AP) — More than a dozen protesters have been arrested while refusing to leave the Massachusetts Statehouse during a gathering to demand elected officials confront systemic racism. 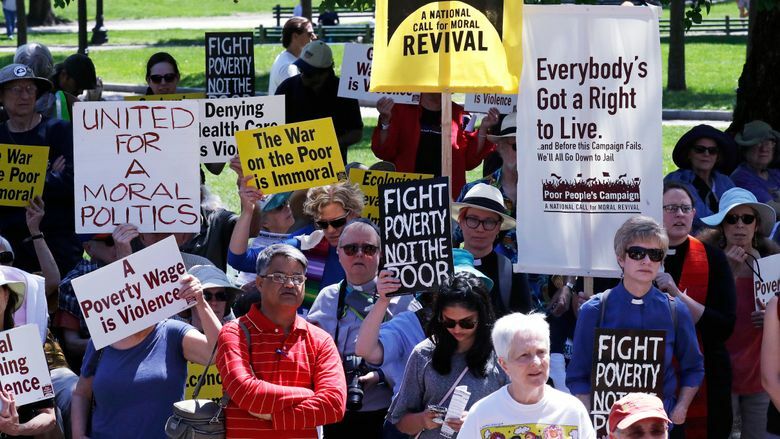 Monday’s protest is part of the Poor People’s Campaign, a nationwide effort to draw attention to what organizers describe as a range of issues including economic inequality, the war economy, environmental devastation and voter suppression. The protest was a follow-up to a larger protest held a week ago during which protesters blocked Park Street directly across from the Statehouse. Nationally, protesters say they’re also calling for an end to racist gerrymandering and the reversal of state laws that prevent municipalities from raising wages. On June 23, organizers in Massachusetts and other states hope to join together for a mass mobilization at the U.S. Capitol in Washington.